Vocalist Emilie Surtees comes to Cafe Wha? 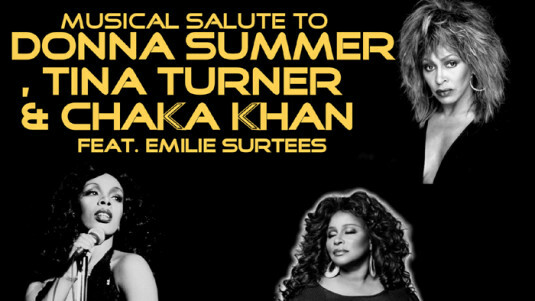 in New York City for a musical salute to three all-time great musical divas: Donna Summer, Tina Turner and Chaka Khan. This sure-to-be-electrifying set will excite any music-lover who’s ever been caught belting out songs like “Hot Stuff,” “What’s Love Got to Do With It” or “I Feel For You.” Surtees has a great talent for replicating these great tunes, note for note, while conveying the soul of the singers who originated them. She’ll channel these inspirations for a truly captivating evening that honors her idols.